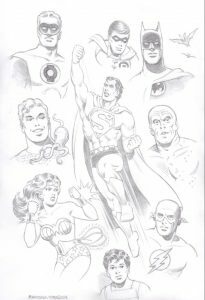 Featuring Superman, Wonder Woman, Batman, Robin, Green Lantern, The Flash, Aquaman and Aqualad, and Metamorpho, this stunning original art by Ramona Fradon measures approximately 12 1/2 by 17 1/2 inches, is in excellent condition, and will be shipped with the utmost care. 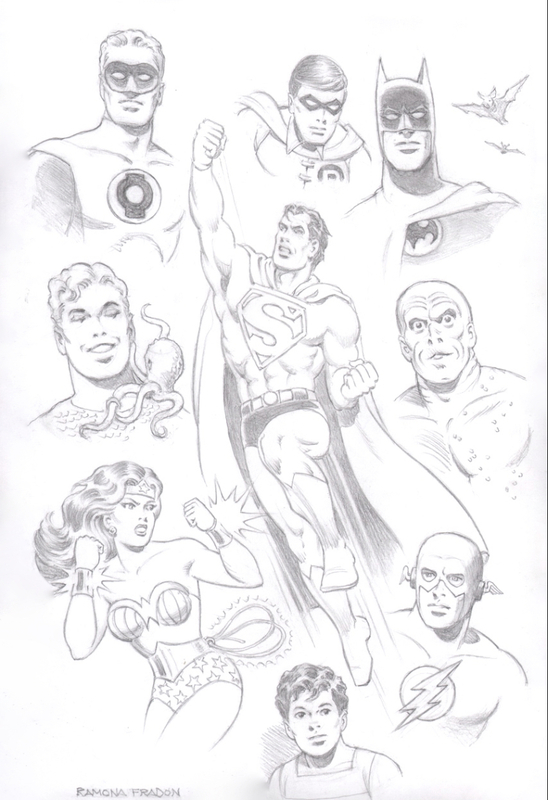 Please note- this is an actual, original piece of art drawn by hand by Fradon. It is not a copy, print or pre-printed image. It is a one-of-a-kind original.